Sorry android users, I couldn’t find the equivalent. 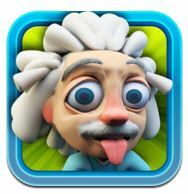 Einstein Cubes, created by Mantiz Game Studios is an intuitive free iPad puzzle app that challenges students’ mathematical-logic abilities. A number of dice are rolled (depending on the level that students are up to) and students are required to place the dice and number functions (addition, subtraction, multiplication and division) in the correct order to complete the number sentence and reach the target number. Please note, you will need to play this app with Wi-Fi turned off, otherwise there are numerous adds which keep popping up. 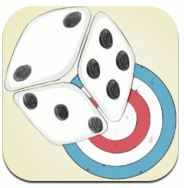 5 Dice: Order Operations Game , created by Justin Holladay is another free app that helps students enjoy practicing their order of operations. “The game encourages students to use higher order thinking to solve the “target” number by working backwards given the answer but not the equation. The best feature about this simple math game is that teachers are able to receive immediate feedback of their students’ progress through email” (reference). In addition, no adds appear when playing this app! Looking for iPad training during Term 2 school holidays? Follow this link, limited registrations left. Previous DuBlox and Fraction Circles for iPad/Android: Free?